When investing, timing is as important as the choice of investment or asset class. In fact, time is a defining characteristic of an investment: observe the airline industry pre- and post-9/11, today’s lackluster performance of IBM versus its dominant position early in the computer era, or Kodak before and after the advent of digital photography. Today, the cannabis industry is at a defining moment, for while the risks associated with early stage companies and industries have diminished, revenues and profits are poised for tremendous growth; perhaps solely analogous to the alcohol industry following Prohibition’s end in 1933. Cannabis is a legitimate and potentially incredibly rewarding investment. The time has come for consideration of the cannabis industry within an investment portfolio. Today, 29 states, as well as the District of Columbia, have legalized medicinal marijuana (with eight states and Washington DC allowing recreational use) while many others permit CBD (cannabidiol) medical use. Approximately two-thirds of Americans (and all of Canada) now live in areas that have some form of legalized marijuana usage. Whether through increased state-level acceptance or federal action, the cannabis industry should continue to expand. With 2016 legal retail cannabis sales of $6.7 billion (up from $3.4 billion in 2015), industry resources and analysts still project significant future growth, including a sales projection of $35 billion by 2020 as issued by Bank of America. With the American tobacco, alcohol, and specific pharmaceutical markets such as pain management far exceeding $35 billion, the cannabis industry would still have significant room to grow. Two risks are commonly cited by reluctant investors. First, cannabis companies have experienced difficulty in securing adequate access to the banking system which can potentially impair growth and accounting transparency. This risk factor, while real, has greatly diminished over the years. In February 2014, the Department of Treasury issued guidance for banks to handle cannabis-related business. Currently, over 300 financial institutions (e.g., state-chartered banks and credit unions) work with cannabis firms. This marks significant growth from even early 2015 (when there were less than 200). Accordingly, while the entire banking system is not open to cannabis companies, this situation has been transformed from an obstacle to a nuisance. However, a number of factors suggest the Attorney General’s personal views will neither translate into federal action nor a change to current policy. First, President Trump does not share Mr. Sessions views and is on record as stating he is in favor of medical marijuana “a hundred percent” and that “in some ways [legalization] is good.” Second, in April 2017, Congress re-authorized the Rohrabacher-Farr Amendment which prohibits the Justice Department from using federal funds to prosecute medical marijuana as legalized by states. Combine these factors with the sheer length of time medical (1996) and recreational (2014) marijuana has legally existed, as well as the administration’s continued adherence to the January 2013 “Cole Memo” (which outlined the circumstances federal prohibition would be enforced), and it is unlikely the Federal Government will interfere with state legalization. Since California’s legalization of medical marijuana in 1996 and Colorado’s authorization of recreational use in 2014, the trend to legalize both has accelerated. In the last election, four states voted to legalize recreational use which doubled the number of recreational states. This election saw marijuana legalization (whether medical or recreational) pass in eight of the nine states holding referendums. Subsequent to the November elections, the Vermont state legislature voted on legalizing recreational usage. As all prior legalization acts have resulted from referendums, and not legislative action, this development is profoundly significant and demonstrates that even legislators feel protected enough to openly advance legalization. Legalization should continue. Given these legalization trends, growing social acceptance, continued substantial fiscal constraints with governments, and now the widely accepted medical applications of marijuana, the Federal Government may eventually legalize marijuana (or at least recategorize it). When this occurs, American businesses currently prohibited from or reluctant to participate in the marijuana industry will enter the market in force. Companies in the alcohol, tobacco, and pharmaceutical industries are widely expected to rapidly acquire existing cannabis companies and seek to scale up operations (since state borders will no longer matter for sales and distribution). When this day arrives, the cannabis industry’s landscape will instantly change. Cannabis companies will quickly be divided between winners are losers as the former are acquired and the latter must now compete with large-scale, potent competitors. In addition, while private equity firms exist to pool investor money and seek cannabis investments, most major financial firms refuse to participate or engage within this industry. As such, the cannabis industry lacks capital for investments and expansion. This lack of capital has helped diminish valuations. Given the cannabis industry’s growth potential and the likelihood of federal legalization, cannabis investments today provide investors with a rare opportunity. While no pure-play U.S.-based cannabis companies trade (with the exception of a real estate firm), there are a number of Canadian-listed publicly traded companies. These stocks have experienced explosive recent growth with the North American Marijuana Index up over 80% over the last 52 weeks. However, many publicly traded cannabis companies are penny stocks and not widely followed by security analysts. Accordingly, they entail heightened risk with even the potential for fraud or, at the very least, questionable practices. MedBox provides an illustrative example. After its stock price increased by almost 50 times within several months ending in January 2013, it was charged by the SEC for misrepresenting revenues through related-party transactions. The general lack of publicly traded companies relative to the overall number of cannabis-related businesses, combined with the elevated valuations embedded within the existing publicly traded companies, compels interested investors to at least consider private investments. If investors consider private investments, what investment criteria should guide them in making investment decisions? In large part, the criteria are the same as for any industry. The following details various attributes which may guide investment decisions. Anyone visiting a well-stocked marijuana dispensary will be shocked by the breadth of products as well as the variation of particular products (e.g., types of edibles, different buds or “flower”, vaporizer pens, etc.). Today, many cannabis companies are profitable regardless of their branding. But eventually, branding will determine long-term viability from mere current profitability. Additionally, branding must be realized as important by the eventual consumer. Many cultivations centers currently “brand” their particular strain of marijuana, but how many will translate this into consumer loyalty and increased profitability? Due to current federal law prohibition, marijuana cannot cross state lines which limit the potential growth of many cannabis companies. Accordingly, cultivation companies are precluded from entering markets apart from the state where they grow marijuana. Retail stores will likewise fail to realize significant cost savings and encounter distribution issues when owning multiples stores across state lines. Scalability requires cannabis companies to either sell a cannabis-related product which does not contain marijuana (e.g., vaporizers), or easily enter and distribute product through joint ventures with other cannabis companies (which raises issues related to selecting an appropriate partner, etc.). Firms which successfully scale across state lines should not only realize increased profitability and revenue growth, but will also be more attractive targets when large-scale mergers and acquisitions develop. Intellectual property protection in the cannabis industry is largely nascent. Likewise, while some states facilitate barriers by limiting the number of issued licenses, this barrier to entry may eventually prove ineffective with legislative changes or federal legalization. Companies building brands and unique products with proprietary know-how and a prime mover advantage may possess the most effective barriers to entry within the industry. Given the extraordinary sales growth and profitability, both experienced and expected within the cannabis industry, most start-up or established cannabis-related firms have unreasonable valuation expectations which do not correspond with financial reality. Investors should be wary of valuations which cannot be legitimately justified by management teams. The era of the dot.com bubble is perfectly analogous, for while many great businesses were created, they did not translate into great investments if the purchase price exceeded reasonableness. There is no bright line which distinguishes a medical user from that of a recreational consumer. Consumers may utilize marijuana for different purposes at different times or they may use marijuana for both its medicinal and recreational effects at the same time. Accordingly, if a company can survive solely with medical usage but also prosper with a recreational market, an upside is captured as states continue to legalizing recreational markets. Given the age of the legal cannabis industry, few companies possess management teams with experience and depth. Simply being experienced in growing marijuana will rarely translate into an effective management team, especially as the industry matures and develops. Investors should also seek management which is effective in the particular areas critical to the company’s growth (e.g., marketing, scientific or technical know-how, etc.). Higher returns typically possess increased risk. The cannabis industry is no different and demonstrates all of the issues typical of a growing and relatively new industry. Combined with the unique legal landscape surrounding the industry, risks are certainly abundant. However, investors can navigate these risks and maximize returns when strictly scrutinizing key investment criteria. If timing defines investments, investors cannot afford to wait any longer in considering the cannabis industry. 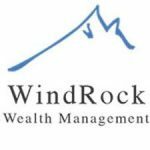 WindRock Wealth Management is an independent investment management firm founded on the belief that investment success in today’s increasingly uncertain world requires a focus on the macroeconomic “big picture” combined with an entrepreneurial mindset to seize on unique investment opportunities. We serve as the trusted voice to a select group of high net worth individuals, family offices, foundations and retirement plans. In 2016, WindRock formed Singularity Capital Management, a private equity pioneer focusing on the growing opportunities for accredited investors in the cannabis industry. Unlike THC, CBD is a non-psychoactive cannabinoid found in cannabis.